Есть вопрос для Club One Seven Gay Men Hotel Chiang Mai? Идеальный как для активных развлечений, так и для спокойного отдыха, Club One Seven Gay Men Hotel Chiang Mai расположен в одном из районов города Чиангмай — Чиангмай Риверсайд. Центр города находится всего в 2.0 Km, а до аэропорта можно добраться в течение 15 минут. Одним из главных достоинств этого отеля является его расположение вблизи от множества достопримечательностей и памятников: Ratchavej Hospital, Больница Rajavej, Рудник Peak. Club One Seven Gay Men Hotel Chiang Mai предлагает безупречное обслуживание и все необходимые составляющие для хорошего отдыха. Объект размещения предоставляет своим гостям бесплатный Wi-Fi в номерах, электростанция для зарядки автомобилей, магазин, ежедневная уборка, медицинский пункт, чтобы обеспечить им максимальный комфорт и удобство. Благодаря высокому качеству таких услуг, как телевизор с плоским экраном, дополнительная ванная, дополнительный туалет, воздухоочиститель, ковровое покрытие, вы сможете полностью расслабиться и зарядиться энергией после долгого и насыщенного дня. Помимо широкого выбора услуг для отдыха, предлагаемых объектом размещения, вы получите множество возможностей и для развлечений. Независимо от цели вашего визита в город Чиангмай, Club One Seven Gay Men Hotel Chiang Mai идеально подходит для отличного отдыха и веселого времяпрепровождения. Возраст гостей не должен быть меньше 18 лет. Отель предназначен только для лиц нетрадиционной сексуальной ориентации мужского пола. This guesthouse is 10 years old+, the old tradition wooden house we stayed is a bit dark. The bed is ok, the room is small but It is clean. I love work out so I love there gym. the gym is located next the river, great view. Staff is super friendly. This old Thai home has been turned into a gay resort/sauna. The rooms are quaint though most a bit small. The bed was comfortable and the room had everything we needed. Breakfast was very good and filling. Staff were all super friendly and helpful. We booked a tour through them that was fantastic and cheaper than I found on the internet prior to our trip. the sauna was very much fun and relaxing. We plan to go back again soon. The staff is really nice and kind. The building is old Thai style house with 130 years. It might not be new, but with much Thai feeling. And the staff keeps it clean everyday. But since it's in a small jungle, so some bugs are easy to be found. Menu was boring but well prepared, and rooms was a bit disappointed and not what we saw on internet. Like very small and aircons not working properly. Rooms are clean but cigarette smoke hanging all over the place. We arrived to find Agoda had screwed up our booking so we were not booked in for the day we arrived. The staff were excellent in sorting out rooms for us and upgraded us to riverside rooms. All the staff were very friendly and helpful. Breakfast was included and was excellent. The evening menu was principally Thai food which was most delicious and inexpensive. I would stay there again anytime. I do not usually make long comments after my stays however today I would like to express my appreciation for the work of the staff. I found them particularly conscientious and focused on their tasks, whether in the guesthouse or in the spa. All are not equally smiling, each one has his own nature but all observe the same seriousness and the same motivation at work. I was surprised to see them throughout my day from 7 am until 11 o'clock at night, always working with the same energy. I could also observe their solidarity and fellowship (one seemed injured in the leg and another helped him in his tasks); everyone seems to know exactly what he has to do and does it in the right timing. I personally used to manage a sauna-spa in another asian country and I know the work that this requires, particularly in terms of hygiene and cleaning... So I had eyes wide open on this topic there, and I must say that the job is done !. Although the facilities are a little outdated and deserve a little refreshment, the cleanliness is impeccable. As for the guesthouse, nothing was wrong; my room was impeccably prepared during the Two days. This morning I did my check-out and one of them kindly negotiated for me a transportation to get to the bus station. After two or three kilometers on the way I see a motorcycle arise in the back of my tuk-tuk and make me sign with his hand .... I had forgotten my camera charger in the room and he made the effort to ride his motorcycle to catch up with me on the road and bring my charger back, when he was under no obligation to do so. It really was the icing on the cake and a nice proof of their dedication ! 3 путешественников(а) считают этот отзыв полезным. А вы? Thoroughly enjoyed my 5 nights in the hotel. Staff were friendly and especially Shi, who was extremely helpful. I love having breakfast by the river - beautiful and relaxed setting. 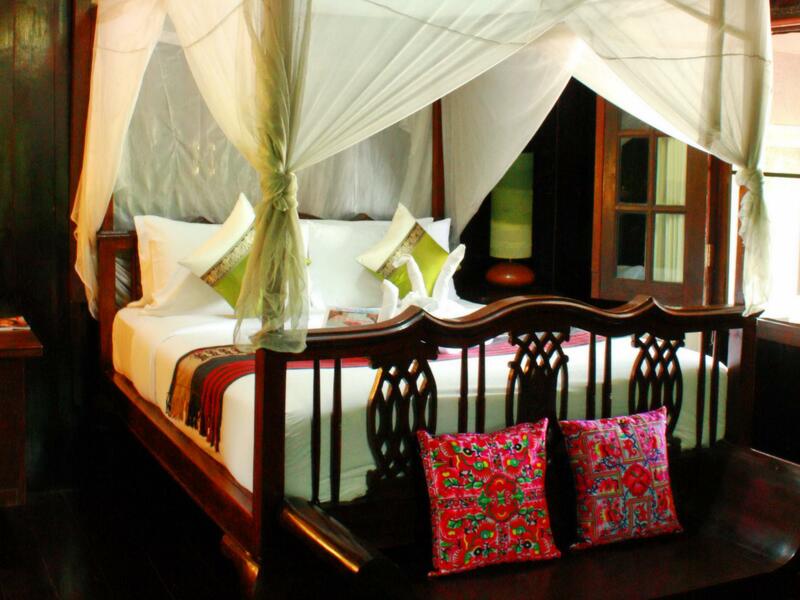 I like traditional thai decor, so the rooms were to my liking as they're all wood (teak). The bigger rooms (102) are very nice and besutiful. Club One Seven is a total surprised . 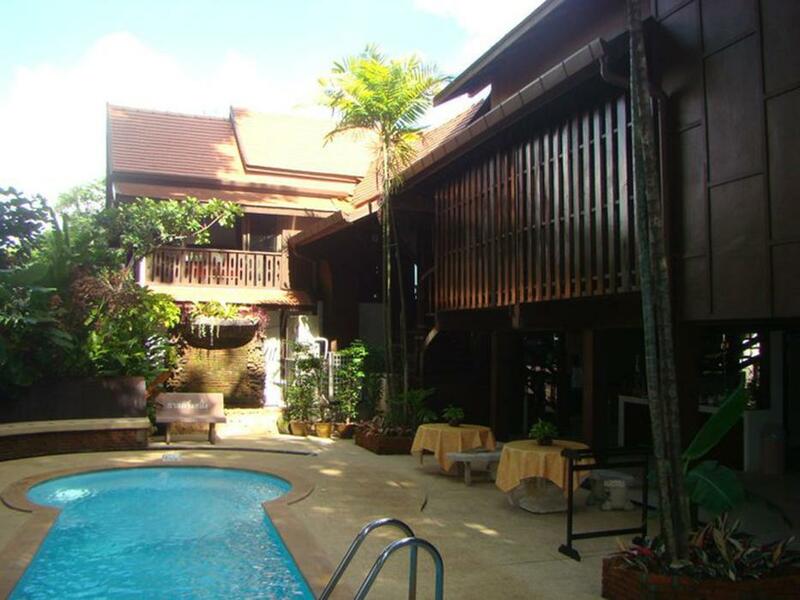 the hotel itself is a 130 years old thai traditional house. It's clean , cozy with very nice ambience. the staffs are very warm and welcoming, trying their best to make your stay feel at home. I will definitely come back for my second visit. As a gay traveller I booked to stay here, on arrival we were greeted well, but that's were it all went wrong. the room was so dark, poor lighting, and so small for the four poster that dominated the room. I asked if there was a better room, and although we were the only guests there so many empty rooms, I was told there would be an extra cost of £20 a night, after some thought as we sat by the bar, which had no staff, I had to go find someone at reception, we asked for some food, told could not have any until 3pm, we decided this was not the place for us. we went back to a 4 star hotel we had stayed previously for £25 a night with fantastic facility's. This accommodation needs to understand the needs of customers gay or not you can treat customers much better. If you're looking for a more laid back "rustic" Thai experience and aren't fixated on high hip design, you might be pleasantly surprised. 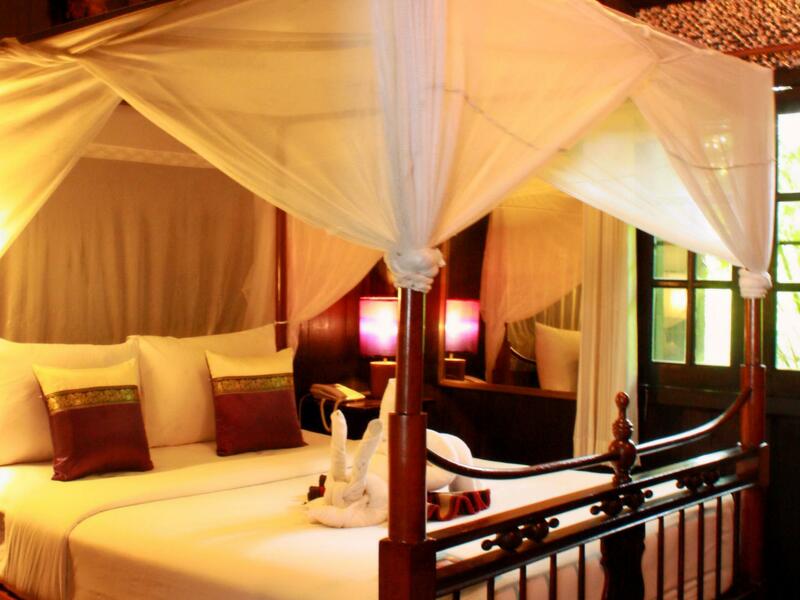 The property is a 130-year old teak structure, so at first it might seem a little well worn, but it's spotlessly clean, the bed is big and comfortable and you're in a really verdant lush setting right on the river. The sauna is large, with an extremely "conducive" layout and it's popular and busy with lots of locals (even in low season). Staff are exceedingly friendly and attentive, there's a full bar with food service and a really great breakfast spread with hot menu choices. I liked that it was situated away from the hub-bub of the old city, but easy and super cheap (50-60 baht) to use Grab app to hail a car, or ride a yuk yuk or rod Daeng, it's only 10 minutes to the center. This place has character and a nice vibe you won't find in other more ersatz accommodations. It's just along the ping river. All rooms are ancient and with beatifual lanna style. It's really nice to stay in the bar by the river. The resort locates in a very quiet area, but it's convenient to go to many places by uber or just walking. Very impressive hotel, strong recommended. Perhaps the largest place (and maybe the only one) you could think of when it comes to men's area. Had only one night there but the staff was more than eager to help and great location as well. Nixe, friendly gay Hotel located near the River. Joined the nacked Party, which hosted about 100 gay People. Mostly middle around 30 to 35 years old. Good dark room for a gay Hotel in Chiang Mai. Friendly guests, no money boys. 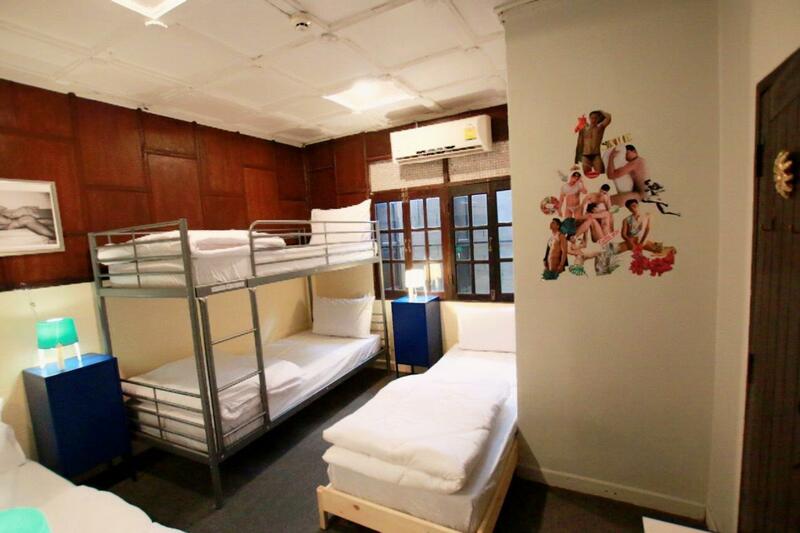 The room are old but really charming...nice area for men who look for more than sleep. The worker....massage.....start at 4.00pm with her own party....up 7.00 pm all so drunking, loud and uncomfortable that the situation on the bar was terrible. Breakfast really comfortabel. For any taste you can find.